This is my 8th time trying this challenge. Last year I only made it to 15 but I'm working on it! I like to read paranormal, sci fi, horror and realistic fiction books. Lara Adrian, Jodi Picoult, and Stephen King are my top three authors. I always am up for recommendations on books in any genre though! Alright so here it goes! Welcome back! Sounds like you’ve got a full year ahead with fiancée and steps. I hope your reading goes great! Thanks guys! I hope to get some reading in. Ten days in and I've at least got one down! This one I'm still not too sure about. Last year I was given the entire 30 book series by Sherrilyn Kenyon known as the Dark Hunter series. It's one of the most popular among the paranormal fiction series, but I know it has a lot of Greek god influence and that's never really been my style. Last year I read book one and I wasn't real impressed. It was an easy read and kind of obvious the entire time. But I have the entire series so I decided to give book two a chance. Book two is called Night Pleasures about an accountant who gets stuck fighting a common enemy with a man named Kyrian. This one was more entertaining than book one, however the story line was drawn out. I thought it was interesting that she waited until book 2 of the series to even introduce the Dark Hunter's. I will give book 3 a try hopefully the story line develops more, she is focusing a lot on characters. Book 16 to Lara Adrian's Midnight Breed series launches this month on the 23rd so I will have to take a break from this series. Also two other series I follow have books launching in February! It's going to be a big year for books! 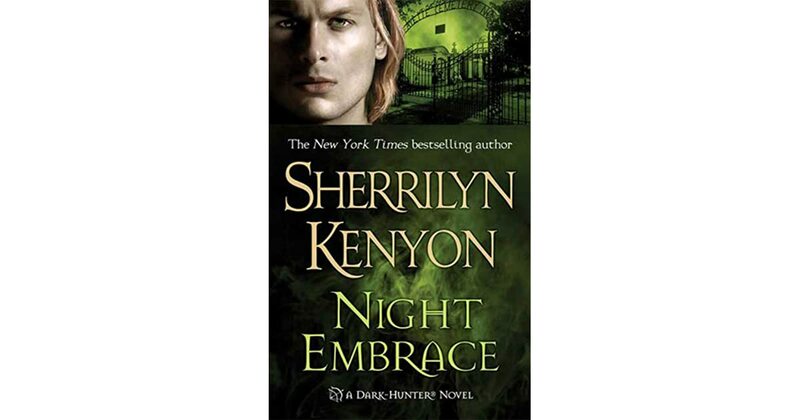 Finished book 3 Night Embrace to Sherrilyn Kenyon's Dark Hunter series. This one was by far my favorite so far. I think Kenyon is starting to become a stronger writer within each book. Not sure if this was her first series or not but you can tell she's definitely progressing. The story line is more in depth and the characters start to have more personality. She introduces a lot of characters very quickly within the book and introduces a couple of Gods and Goddesses from the Greek realm that I have never really studied. I hope the series continues to develop. 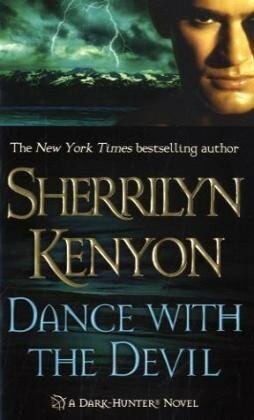 Finished book 4 of the Dark Hunters series by Sherrilyn Kenyon, Dance with the Devil. I am surprised about how quickly I am getting through this series. It's so far been an interesting and easy read. I feel like Kenyon has a better footing now that she's got the first three books down. The fourth book had more recurring characters rather than new ones so she really could focus on developing their personalities. One thing that I like about these books so far is that she hasn't really left any cliffhangers. But she also doesn't have a running story line between the books. Each book has its own storyline so that helps this factor. Super excited to have finished book 15 in Lara Adrian's Midnight Breed series! This has been my favorite series for a few years now and I am sad because there are only three more books after this one. This one was a super fast read. I didn't care for the two main characters in this one, unfortunately I knew that going into it but the story line itself was worth the over-a-year long wait! Lara has a way of writing great action scenes and strong relationship scenes. In this one she brings many characters back together for a family event and a handful of missions. This book was awesome but it won't make sense unless you have read the series before hand. If you haven't picked up the first book of Adrian's paranormal series I would definitely recommend it! 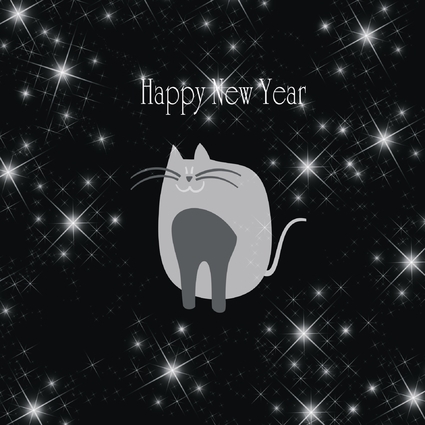 Kiss of Midnight is book 1. For now I will have to most likely wait another year for book 16 and I know it'll be worth it! Finished book 5 of the Dark Hunters series by Sherrilyn Kenyon. I have to say Kiss of the Night has been my favorite so far. Kenyon kept her focus on developing the characters within this book and the story line developed quickly but was not rushed. I love the amount of action that she balanced it with and I feel like she is starting to really get a good grasp on her series finally. I hope the next few books continue to keep the streak going. Finished the next book in Sherrilyn Kenyon's Dark Hunter series. Night Play was a fun and quick read. Not as much action and character development as the last book but it got me to the next book. I like that she brings in old characters from the previous books and doesn't leave them out like some other series. And book 7 of the Dark Hunter series is down on my list. I am actually going through this series a lot faster than I expected to. Even though it as 29 books to it I guess I'll just have to start thinking about the next series to read. This one was another quick one, the character development was good in this book, the main characters actually had a lot of interaction with the storyline as well as the past characters. I'm worried that she will start to get more repetitive with her storylines as the books keep going. Another book down, book 8 of the Dark Hunters series. I am trying to get this series done by the next book release in April, we will see. This one is one of my least favorites unfortunately so far. It is based off of a French hunter meeting pretty much a dead alien of a man and them having to protect their boss. I just feel like this book had a lot of lead up to nothing, with a very basic and anti-climactic ending. I think Kenyon could've done better. 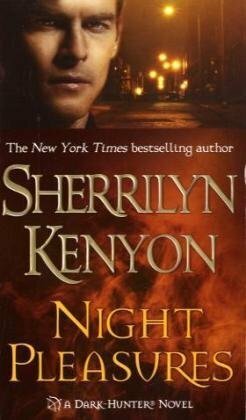 Unleash the Night book 9 to the Dark Hunters series by Sherrilyn Kenyon was a fun one. This is also considered book two of her were hunters series. This is one of my favorites of the series. This one features a quiet tiger/snow leopard shifter who's family is on the hunt to kill him. I found the plot to be more developed in this one and the action was a lot stronger then her previous books. Finished book 10 of Sherrilyn Kenyon's Dark Hunter series. I am slowly but surely getting through all 30 of these books. I liked this one because it was a lot more in depth. The characters were well defined and the plot developed at a pretty decent pace. Nothing felt rushed and she did take her time introducing a lot of new characters as well as bringing back the old ones. This was also considered book 3 of her Were Hunters series and book 11 is considered book one of Dream Hunters. It is kind of confusing how she has series within a series times three. Were Hunters, Dream Hunters, and Hunter Legends. Finished book 11 of the Dark Hunter series by Sherrilyn Kenyon which is also book 1 of her Dream Hunter series. I liked this one as it was a different concept and change of pace. She did a good job at actually having a set story line which has a plot twist. It was a bit off from the rest as she brought together only 1 re-occurring character. The new characters however play a bigger role in the series. I like how Sherrilyn is good at character development and showing personalities. Book 12 of the Dark Hunter series by Sherrilyn Kenyon is finished. Devil May Cry is a fun and quick read. This one I really liked, it tied in with book 12 and was full of action. The two main characters had very bold personalities and Kenyon seemed to know exactly where she was going with the story line. I would actually recommend this series to anyone who is looking for a long series to start. Alright, finished Upon the Midnight Clear. This is book 12 of the Dark Hunters series and book 2 of the Dream Hunters. This one was an extremely short faced paced story. I'm not really sure how this ties in into anything relative to the moving story line of the series. The two characters were very rushed in their storyline and there was really only one main fight scene. It was one and done with the enemy. I feel like Sherrilyn Kenyon must've been rushed on this one and she just needed to hit a deadline. Oh my heart! Finished the last book to Gena Showalter's Everlife Trilogy. I have been with her on this one since she first launched Firstlife the first book to the series. I have never liked a Young Adult series as much as this one and I'm so upset she only made it three books long. The concept for this series is very unique and could have been stretched a lot longer! The main concept of this series is that there is a FirstKing who created life, kind of like the common said God in our world. The FirstKing has two sons: SecondKing Eron and SecondKing Ambrosine. Each of them were given a realm to run. The humans on Earth that were created get to choose between the realms. But Ambrosine wanted total control and has started a war with Eron's realm for thousands of years. Each realm has its differences and bases of what makes it run and what side of the war they fight in. The lead character is the one destined to end the war. The first two books of this series are very easy reads and not as in depth but this last book was very action packed and well planned out. You can tell that Showalter planned the ending long before the beginning even started. It has a great message and overall happy ending to the series. It is worth a good read and the underlying lessons Showalter teaches are great. I have never liked a Young Adult series as much as this one and I'm so upset she only made it three books long. aqeeliz - It was a very creative concept in which had a lot of potential. Showalter could've made this series much longer with the imaginative mind that she has! I wonder if her publisher only signed her for 3 books. This book was an amazing start to a spin off series! As a long term fan of Adrian's Midnight Breed series I have to be honest, when I heard the words "spin off" the first thing that came to mind was it was going to be one character from the main series with their own series. A common concept that many authors have tried and I've come to dislike. But what I like about this one is that it is not. The concept was taken from the original series but is based off of many different characters and I think that is why I loved this first book so much. Because there is no moving storyline between the spin off series, it'll be based on many different Gen One Breed's from Lara Adrian's Midnight Breed series and each book will have its own story. This definitely gives room for creativity and I can't wait until the next book launches! I think that both the Breed and the Breedmate in this first book were a perfect match to start with as they both are very strong characters at the same time have underlying weaknesses that have to come out in order for them to be together. The action in the story was great as well, each new character she brought in had a very rounded out character and an important role in a plot. By the end of the story nothing was left out of place or kept you wondering. Even if you are new to Adrian's works you will be able to start off right at the beginning and understand what happens without knowing much back history of the Breed. And for those of you who are fans of the series she does mention two members of the Order who we haven't heard from in a while! Would definitely recommend, it's worth a read. 5 out of 5 stars for me! Another one down! March was a bad month for the records! This time I finished Book 10 of Karen Marie Moning's Fever series titled High Voltage which launched in March. I can't believe how different this book was from the last nine. I guess I didn't realize that they considered this series to be in the genre of Urban Fantasy but I guess it would be. I've always classified it as science fiction in its own rights. One thing about Moning is she writes similarly to J.R. Tolkien so sometimes I find her books to be a little bit long winded for me but this one was a good long read. This series has mainly been centered around 2 women who are friends and they're forced into the world of the Fae and other creatures as these creatures start to take from humans on Earth and how they must overcome their challenges to try and save their planet. The first nine books mainly focused on Mac but this one she switched and put her focus on the other girl Dani. I like this book because it didn't seem as dragged out like the first one but the first half of the book was kind of hard to get into. Little action and Dani was just depressive for the first several chapters with nothing going her way. The book has a happy ending with a few plot twists, and there are a lot of events left hanging among other characters that tells me she's writing an 11th. Just finished reading Jackson Galaxy's Total Cat Mojo, a guide to life with cats and it was a comical yet informational book. My mother gave it to me as an early birthday present, and as I normally find informational books to be a bit of a snooze Galaxy added quite some humor to it. I have two cats myself and plan to continue having cats throughout my life, I also had the opportunity to meet Galaxy two weeks ago here in Minnesota and his personality was great. The book is very well laid out and covers much in detail. It starts with the history of cats and continues on to Queen Victoria being the first "cat lady" and domesticating cats and continues on to the habits and natures of cats as long as issues domestication has led to and how to resolve them. It can be a long read but if you are a cat lover and like informational books this is a good one. Also the illustrations in this book are amazing! He gives credit to 5 different artists at the end and the pictures they drew for this book are comical and true to a cats nature. So I went to the library the other day to pay my .25 cent late fee. Yup a whole big quarter. Even though the 30 book series I'm currently reading, I own and I don't need the library right now I wanted to be in good standings. And of course I had to get a book while I was there otherwise it would look weird. So this is how I stumbled upon A Final Reckoning by Susan Moody. She's a British author. The cover was gothic-like. And I am a book cover judge I will admit. The story sounded like an interesting murder mystery...but then it turned out to be a bust. I figured out the end of the book within the second chapter of the book, and if I hadn't then the author left several of obvious clues who caused the murders throughout the book. No one would be surprised by the end of the book how it turned out. I am one of those who will finish a book even if I don't like it. I wouldn't recommend this one. Alright another book down in the Dark Hunter world by Sherrilyn Kenyon. This book was the third book in her Dream Hunter series and it was called Dream Chaser. This book was based off of a previous character that had already been introduced in the Dark Hunter series. I appreciated this one because it was a quick and entertaining read. It stuck to the storyline and did not stray from the main plot. She kept plenty of turns and plot twists and set up for the next book. This series is worth reading but itis a long one. Book 29+30 launch this summer. Book 15 of Sherrilyn Kenyon's Dark Hunter series was by far my favorite of the series. Acheron was quite large just over 800 pages but explained the past and present of the leader of her entire series and it was very well planned out with a long plot. It was really well developed and you could tell that the story was important to Kenyon as an author for her story. This book was said to be very violent and disturbing but I don't think it really fits the hype. It's a very emotional story but well worth it until the very last page. Finished book 16 of Sherrilyn Kenyon's Dark Hunter series. One Silent Night was a quick and easy read. Very fast paced with non stop action. The two main characters are actually villains in the series but it was an interesting twist and you can tell she's gearing up for a new story arc within her series. I hope to have the next one finished by the end of the week. This series is a long one. Next book down. Book 17 to Sherrilyn Kenyon's Dark Hunter series, and book 4 of her Dream Hunter series. Dream Warrior was a short action packed book with a lot of plot and development for the future books. She started a new arch within the story line with a new war in which I presume she'll probably carry out for the future books. I am looking forward to finishing this series. I decided to start reading Sherrilyn Kenyon's Chronicles of Nick series while reading the Dark Hunter series. Nick is one of the main characters from her DH Series so I decided to see where she went with this other series. In the first book Infinity she has gone back to when he's a teenager and starts to show how he became a main character in the Dark Hunters series. I was also surprised that it is a Young Adult series. I'm assuming her motives for this were to get younter readers to read the Chronicles of Nick series and then move on into her adult series for Dark Hunters. It was an easy read with a ton of action but it didn't seem to have any direction on where book 2 would lead to. I will have to find out. And book 18 of the Dark Hunters series is over with! holy cow I am officially over halfway done with this series and I can't believe how long it is. This was a fairly larger book to the series and consisted of two main characters that have reoccurred during the previous story lines. It was fast paced and had a lot of loops to it. It was an interesting read and I hope to finish this series by the end of the summer. I have such a huge TBR pile stacking up by my door it is crazy. I have to stop going to the book stores! Another book down! Book 19 of Sherrilyn Kenyon's Dark Hunter series and 5 of her Were-Hunter series. This was a quick read with a lot of development to the main story line and reoccurrance of characters. I can't wait to get caught up in this series! Finished book two of Sherrilyn Kenyon's Chronicles of Nick series: Invincible. It was a quick one with less action than the first. A lot of character introduction and slightly confusing if you haven't read her Dark Hunter series. I'm not sure what her goal is for this series in addition to that one in the end but I hope she establishes it by the next book. 20th book down for the Dark Hunter series. 10 more books to go before I'm caught up with book 30 launch in August! Retribution unfortunate to say was not one of my favorites. The main characters were a cowboy and an annoying whining chick. I don't care for cowboys and westerns aren't really my thing and then having an obnoxious heroine didn't really float my boat. She did develop a lot of the previous characters and had a birth scene for the new generation. I look forward to see where she is heading this series but I'm wondering where her ending poing is going to be seeing as she has several spinoff series already. 21 books into the Dark Hunter series. Another quick read with a lot of new plot twists. I see a new direction Sherrilyn Kenyon is taking but I'm wondering where she is going to bring the series back together. The Guardian was worth the read if you are following the series and I am getting real close to the heart of the series, book 23 Styxx. Alright, finished Time Untime book 22 in the Dark Hunter series and book 7 in the Were-Hunter series. I've gotta say I wasn't much of a fan of this one. It took me a long time to get into it and I honestly wanted to fall asleep. It was a lot of her explaining old Native American stories and culture and not enough action for me. Hopefully the next one doesn't feel as if it's so many words. Another day another book! Book 3 of Sherrilyn Kenyon's Chronicles of Nick series down. Infamous was fast and creative. You could really tell that Kenyon is trying to make a statement in her youth series. This book was embedded with life lessons as her teenage heroin for the first time contimplates suicide. I normally don't like weak main characters but I think Kenyon is giving him a lot of room for development. I understand she hasn't finished this series yet so I am looking forward to reading more. Finished book 4 of Sherrilyn Kenyon's Chronicles of Nick series. Inferno was a fast paced action filled novel. Sherrilyn Kenyon does really well with character development and flows the story nicely between books in this series. She also conveys a lot of life lessons to her readers and focuses on the empowerment of the teenage mind. I can see why she chose to write this series on top of the adult Dark Hunter series. I just wonder on where and when and if she will connect the two series completely. Finished book 5 of Sherrilyn Kenyon's Chronicles of Nick series. Illusion was another quick read. This one was quite lengthy in words rather than action. Kenyon decided to add in several new characters and a parallel universe. I did not like this one as much as the previous ones and I'm hoping she brings it back home again with the Dark Hunter cross over rather then the current course. I am almost caught up in the series and will still carry it out none the less. Finished book 6 of Sherrilyn Kenyon's chronicles of nick series. Instinct was about 100 pages shorter then the other books in this series and I'm honestly surprised. She brought in a couple of new characters and rounded off the main character as he develops into his adulthood. The action in this one was lacking compared to the others and I'm hoping that she continues to develop the storyline a little bit more in the next ones. I've almost caught up with the series. After a lot of reading and a lot of patience with this series I finally made it to the largest book so far and one of the most important. Sherrilyn Kenyon's Styxx was over a thousand pages long and very well layed out. You could tell that Kenyon took a long time planning Styxx's character development and had a pretty good map size on how she was going to link his back story in with the series overall. It is a sad yet very empowering book with a lot of action. I have to say this was my favorite book in the series, it's number 23 of the Dark Hunter series and it was well worth the read! I wish she would develop all of her characters as much as she did Styxx and Ash you could definitely tell the twins were her priority from the beginning of this series. Finished Invision by Sherrilyn Kenyon, book 7 of her Chronicles of Nick series. This book was mainly development of the main character and showing how his life decisions are starting to alter his future for the rest of the storyline and she is obviously trying to emphasize this to the teenage crowd in this young adult series. Finished book 8 of Sherrilyn Kenyon's Chronicles of Nick series, Intensity. I did not realize that this was going to be the last book of the series and I can honestly say I'm surprised. I didn't like this one as much as the others. It was short and seemed very rushed to get it over with and the ending of it wasn't good. I'm not sure how other fans of the series reacted to it after it released but it didn't end off in a good place especially because the main character is still an active role in her main series which is up to 29 books and he is older. I don't know her reasinging but I guess she needed to end it for whatever reason she felt fit. Back to the Dark Hunter series I go! After book 23 she decided to write a collection of short stories based around the Dark Hunter series called Dark Bites. I liked this because it gave the view point of a lot of different characters with a variety of storylines that didn't focus so much on the issues in the main series. I can tell she truly has a passion for her series and characters and she takes time with each story she writes. I hope she eventually does a 2.0 and adds in some more short stories in the future. Finished book 24 of the Dark Hunter series. Son of No One was a quick read and the first on Dragon's in her series. It seems the next three books after this one are also on Dragon shifters so she seems to be following a pattern for some reason. I am interested on where she's taking this series and when it will end. I only have 3 more books until I'm caught up for her next book launch in August. Another book down with another plot twist. Two more until I catch up in this extremely long series by Sherrilyn Kenyon. Dark Hunter book number 25 Dragonbane was an entertaining read with a new species intermixed in the series and a new war brewing. I like how Kenyon writes her views on Dragon's and their lair's and am looking forward to the next two books on Dragons as well. Finished the next book of the Dark Hunter series. Dragonmark I honestly didn't care much for. It was very repetitive and included scenes from the book before just from a different perspective and that repetitiveness did not entertain me. I am hoping the next book will be better. It'll catch me up to the current series. Finally caught up in the Dark Hunter series by Sherrilyn Kenyon. Next release is August 28th but for now I've finished book 29 Dragonsworn I loved this one because it wasn't as repetitive as some of the others have been. The two characters were very well developed and she brought in plot twists with previous characters. She had plenty of action and a lot of new creative worlds and terms to use. Kenyon definitely takes a lot of pride with her series. Finally on to reading new books not from Sherrilyn Kenyon. Uf Da! First book out of the way is Kristen Painter's Blood Rights which is book one of her House of Comarre. As I understand it this series is a finished series and only has 5 books to it. I only have this first book but I will consider reading the next four. The book itself is on an ex vampire servant and her escape from an abusive vampire. It was an okay plot but the action was a little bit boring. I am hoping the second book is more plot based now that she's established the characters. Decided to read a realistic fiction book. A human book as us paranormal readers would call it. Girl Underwater by Claire Kells. I had a love hate relationship with this book. It was a quick and entertaining read about two students who are surviving the trauma's of a plane crash and their story of returning back to their lives with medical issues. I liked the overall story line and ending of the book. I thought she could've developed the characters more. The main character was not a strong one. She had a lot of weaknesses even before the plane crash and I'm not a fan of weak characters. It makes a little more understanding after doing some research on the author. This was her first book and she is a doctor who specializes in PTSD treatment so the setting was very fitting for her. The book is still worth it if you're looking for a quick read. Another one down. Man I'm reading like water lately. Apparently I have way too much time on my hands. This is a new release that I found at Barnes and Noble. It's also by a brand new author. The Wolves of Winter is his first book. The author's name is Tyrell Johnson (yes like the football player but not) he is currently residing up in Canada. He writes a future fiction novel about a family who flees the USA after a war breaks out between the USA and China. Approximately 60 years from now. China has infected our people with an flu virus that wipes out most of the USA. The main character is immune to the flu and has the blood to heal those infected so she is being hunted by a USA government agency known as Immunity. She lives outside in the woods of Canada and survives on their own outside from the modern world until she is caught. It is a really good book and is very entertaining. It is definitely worth the read and it's set up for a sequel but nothing has been announced about one yet. I will keep my fingers crossed. Jodi Picoult has been one of my favorite author's for many years now. I decided to put her on the back burner for a while but I decided to give this book a chance. A Perfect Match is a sad but fast paced novel about a family torn apart after their son is sexually abused and the parents struggle to deal with the convicted abuser who they've known for a long time. In the end it does have a happy ending but it's a lot of court appearances and family drama which I've noticed is a common theme in her books. Worth a read if you need something light. Oh man what can I say. I tried to give David Bell another chance. I absolutely disliked his previous book Cemetery Girl. I thought that his name sounded familiar but I didn't put two and two together until I started reading this one and I have to say this one disappointed me just as much as the other one. The Hiding Place is a story about a woman who's trying to figure out the murder of her brother twenty-five years after he died. There's not much action in this book and a lot of loose ends. I guessed the stories ending half way through and there was no real resolution to anything in this story. I wouldn't give this book a recommendation to anyone. Also there is no Hiding Place....not sure why he called it that. Book two of Kristen Painter's House of Comarre series turned out to be a huge let down for me. I thought her concept was interesting with the first book and had high hopes for Flesh and Blood however she went the stereotypical route and brought in a second guy for the main character and put together a frustrating love triangle. One of the most over played scenerio's in the book world. The main guy in the series also lost his personality in this book, it was a total 180 from the first book. I hoped that she would have kept the characters thriving. Hopefully book 3 proves me wrong about this downward slope feeling I'm having. Book 3 of Kristen Painter's House of Comarre proved to be a little bit better then the second. She backed off of the love triangle she had going on and in Bad Blood she develops more of the third ring of characters and introduces new people and concepts to help her series. It had more action then the first two and I will definitely read the fourth. Book 4 of Kristen Painter's House of Comarre series was more of a character development story then the action, she left it with a cliffhanger for the finale of the series. Out for Blood was worth the read and I'm interested to see how she will polish off the ending of this series. Finally completed Kristen Painter's House of Comarre series book five Last Blood. I think she had an interesting ending, Last Blood was not as predictable as I thought it would be, but it had a little bit more drama then I would've liked. Character drama and not much plot. It did summarize the series well and end it on a good note. Not a bad series to read for entertainment but I wouldn't put the series in my favorites list. Finished book 1 of the Awaken trilogy by Katie Kacvinsky titled Awaken. I had actually taken this book off the shelf, read the description and put it back on the shelf at Barnes and Noble and an employee watched me and came over and recommended it to me. I wasn't really interested in the concept of it but I decided to give it a try for her sake. The book is set in our future about 50 years ahead and it's about a society where online schooling and technology has taken over the entire USA to the point where human socializing is non existent and trees and animals are even going extinct. The book was alright I wouldn't put it high on my to read again list but it did have it's moments. I thought the main character lacks personality and the author at times way over emphasized the issues of technology in the society to a point where it was almost obnoxious and made you want to skip a page because you already got the point...I will give book two a try. Finished book 1 of the Cormoran Strike series. The Cuckoo's Calling by Robert Galbraith. Have to say I am super surprised that this book turned out as good as it did. I found out halfway through that the author is actually J.K. Rowling writing under a pen name! This series definitely has nothing in common with Harry Potter apart from London theme and strange character names. I haven't read too many detective stories but this mystery wasn't too bad. It was a little lacking in action and more character based but that's understandable for a first book. I am excited to read the sequel. >59 OMBWarrior47: Happy to read you enjoyed The Cuckoo's Calling, Mikail, I have read it two years ago because I knew it was actually by J.K. Rowling. It made me expand my readings to detective/police procedurals/mysteries since. I thought the next two books were even better. I finished The Silkworm and have briefly started Career of Evil. The Silkworm was entertaining I thought it showed a darker side to Rowling’s imagination. I am hoping that the third one is just as good. I hear she’s planning on writing like 12 more books to this series. Finished book 2 of the Cormoran Strike series by Robert Galbraith. The Silkworm was a dark and entertaining mystery of an author's murder based around his own book plot. I liked this one better than the first one, I thought Galbraith did better with the character development and kept the story line well rounded. I also like the twist right at the end, that's usually the best part in mystery's. I will continue on with this series in my list. Over the past year I have read the first 29 books of Sherrilyn Kenyon's Dark Hunter series and I have absolutely loved them! Book 30 launched last month and I've finally had a chance to finish it. To me Stygian had it's ups and downs but it was worth the wait. She gave a lot of back history and new information. The only thing I'm a little bit disappointed in is the ending. It felt extremely rushed. It is almost like she realized how much history she put into it and forgot the main plot by the time the story line came back in order. By the time she connected the story back with the current time period of the series there were only about 90 pages left and it didn't really drive the main story line anywhere, it was more like a recap. I am hoping book 31 moves the story a bit and isn't as much back history. I finished the third book of the Awaken trilogy and I honestly have to say I'm super disappointed. I absolutely hated Still Point by Katie Kacvinsky. The ending of the series concluded as we all would've guessed, it was predictable. What really bothered me was that the author threw in a second guy and did a whole love triangle, which I always dislike. But then she made the main character stay with the second guy and left the first guy hanging. It didn't make sense as the first two books and most of the third was based around her and the first guy. The second guy was kind of like an after thought that just appeared. No building of character or relationship and he was kind of a lug in the main story line. He weighed it down rather then making the series move. Also she really weakened the main character by the third book she was pretty much helpless and relied on everyone around her when she wasn't like that in the first two. I don't feel like this was a strong ending for her series. I absolutely loved this one! Lara Adrian, one of my all time favorite author's has come out with the second installment to her Hunter Legacy series. This series is an extension of her popular Midnight Breed series and it does not disappoint! They are stand alone novels so you don't need to know the original series and they are action packed and are definitely a page turner! Hour of Darkness: A Hunter Legacy Novel is a quick paced thriller about a Breedmate named Marina and a Gen One Breed Hunter named Cain! Cain helps Marina walk along a dangerous ledge with the Russian Mafia. These two characters are great and the novel really starts to establish the main frame for the series. It felt very similar to the first book of the Midnight Breed series with the establishment of a compound. And there were similar parallels in character personalities to other Breed in the main series. You can tell Adrian is preparing for several more books to come and I can't wait to see what she does with this new concept and story line! Finished book three of Robert Galbraith's mystery series about a private detective named Cormoran Strike and his side kick Robin Ellacott. I absolutely loved Career of Evil. Galbraith does a really good job at keeping the storyline moving. Lots of action and character twists and the ending of this book left a gigantic cliff hanger. Luckily I finished this one the same week the fourth book came out so I will work on that one next! I'm excited to see how far he will take this series! Alright I went back and finished book 1 of the Immortals After Dark series by Kresley Cole. I had accidentally read book two first I guess. The Warlord Wants forever was an extremely short book and I found it to be lacking. I think she meant it to be like a novella since it launched within a book with other authors Blood Red Kiss. The ending seemed like it was rushed and the characters lacked real subsistence and there was barely any action to it. I will try book 3 since it is a full length book and then I'll decide if I want to continue on with the series or not. It was recommended to me by a friend so maybe it gets better it has 16 books to it. Another book down. Last quarter of the year and only 14 more books until goal! I am feeling pretty confident! Lethal White by Robert Galbraith is book four of the Cormoran Strike series which just launched in September. It was fast and entertaining with a lot of character development and a strong development for the two main characters as well. I do have to say this is one of my favorite series! I hope she continues on with Robin and Cormoran's adventures for many more books! Getting closer. Finished book three of Kresley Cole's Immortals After Dark series. Rest for the Wicked was a quick and entertaining read. I like that she's started to incorporate some other species into her series rather then repeating herself. I noticed most of her male character's seem to have the same personality traits so I hope she tries changing it up some throughout the series. I think in the end the two main characters were a good fit for the series. I like that she introduced a moving story line into it that involved other characters but I feel like she doesn't have a main plot or direction for the overall series. Finished book Four of Kresley Cole's Immortals After Dark. Wicked Deeds on a Winter's Night back tracked into the last story line from the previous book and focused on two different characters. To be honest, I didn't really care much for this one. I think the main character Bowen was not who she originally presented him to be within the first book and his dominating personality was honestly shovenistic and annoying. I'm hoping she loosen's up on the male's. You can tell she likes writing the female characters better they usually are more diverse with stronger personalities. Well I did it again. I completely skipped book number five and went straight to six and I've almost finished seven so I will have to back track. I'm normally pretty good at keeping the order straight, guess not with this series. So I finished book six of the Immortals After Dark series by Kresley Cole. Dark Desires After Dusk featured a new species and a new set of problems within the main story line. I see how she is now trying to fit all the different species together but I'm not sure where she's actually going with the main story line. It doesn't seem like she has an overall plot. I did like these two main characters better then the last book. Codeon wasn't as obnoxious as Bowen in the last book but her male characters still seem to have the same personality. I will finish up book seven and then head back to book five to see what I missed. Finished book 7 of Kresley Cole's immortals after dark series. Kiss of a Demon King was a quick read and an interesting story line. Again her male character seemed the same as the others I'm not sure if she just isn't good at writing a guy's personality or she actually intends them to be so similar. I liked that she introduced a new character species with Sabine in the story line. You can tell she's trying to develop an overall plot. Went back and read book 5 of Kresley Cole's Immortals After Dark series. Not sure how I missed Dark Needs at Night's Edge but I definitely did. I liked this one probably the best so far in the series. She brings in the concept of a ghost who returns to haunt a vampire. I think this one was a little more planned out and had a lot of good character development. I hope she continues with stronger characters like these ones in the future. Finished book 8 of Kresley Cole's Immortals After Dark series. Untouchable was a shorter novel and it was combined in a book with a Gena Showalter story. I liked the characters but I felt like there was no plot in this one. It was just a really quick ending with little action. I was expecting more after the last couple of books that I have read from her. Was a little bit disappointed. Have not had time to get all the books that I've recently read updated and reviewed. I finished all 18 books of the Immortals after Dark Series by Kresley Cole and will now have to find a new series to start. The series was alright but I am wondering where she's going with it. She has left the last four books with cliffhangers and have not gone back to any of them. I hope she has something good in the works. 78 books down and one more month of 2018 to go! First time since I joined this challenge that I actually made it! I have started a new series, a fairly large one it is referred to as the Dark series or the Carpathian series by Christine Feehan. I have finished book one Dark Prince. It was an okay story line, pretty typical for a vampire series. She really emphasizes shape shifting which is something you don't see too often in literature anymore when it comes to vampire stories. I am hoping that she gets a good story line for the long run since there are over thirty books to the series. Congratulations on reaching 75, Mikail! FAMeulstee - Thank you! First year I made it! drneutron - Thank you! First year I made it!